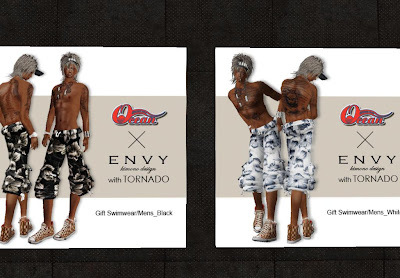 Click HERE to Teleport to Envy x Dance Bar Ocean's Gift! 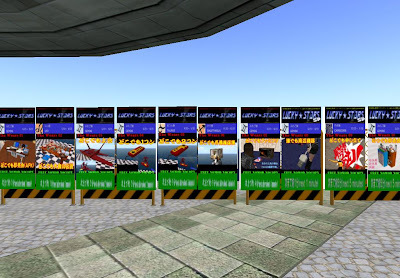 Click HERE to Teleport to ClockShop Katase/EOT's Lucky Stars Boards! 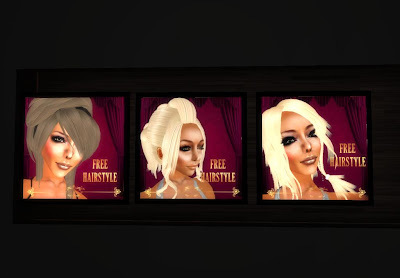 So first up we have a dollarbie and 2 group gifts, if you join the Lutecia Gallery group you can recieve them. 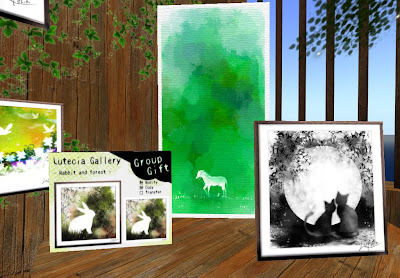 Click HERE to teleport to Lutecia Gallery! Click HERE to Teleport to Kurenai Motorcycles! 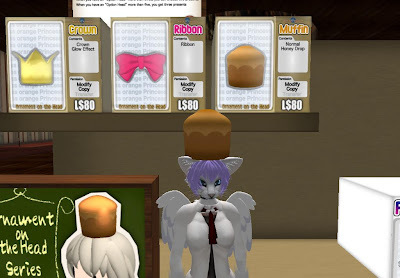 Click HERE to Teleport to *Mocorin*! 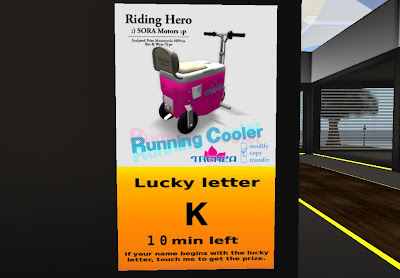 Sora Motors has set up a Lucky Board with one of their Running Cooler Rides. 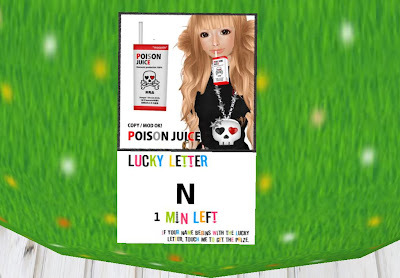 I hope I can win it. XD Changes every 10 mins. 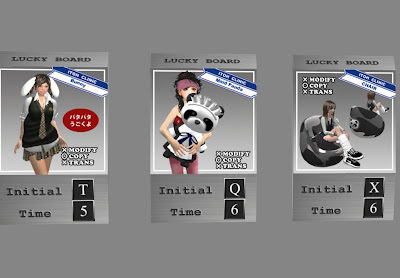 Click HERE to Teleport to Sora Motor's Lucky Board! So I've been wanting to play one of these since Atlus went down, which is so sad btw and still very missed. But the new one at Cosmos*Doll is both challenging and fun! The prizes to be won are eyes, female shape, and 5 different lip colored female skins with a cute star decoration under the eye. Click HERE to Teleport to Cosmos*Doll! Click HERE to Teleport to Misuzudo! 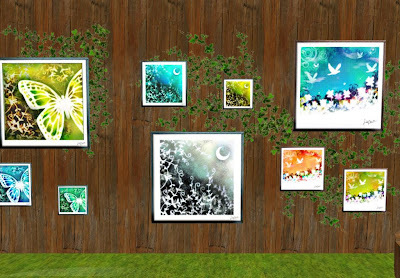 Click HERE to Teleport to Sway's Creations! Click HERE to Teleport to Itoh Clinic! Click HERE to Teleport to EarthBound! 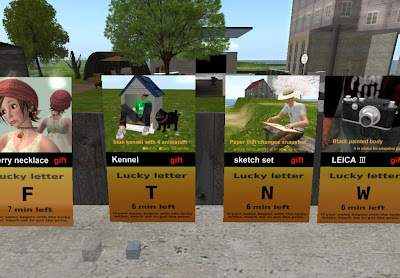 Click HERE to Teleport to Kunstkammer's MM! 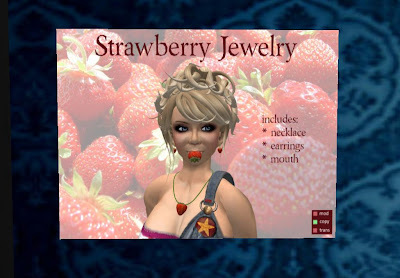 Also if you're interested they have a 15 min item camp for some cute strawberry jewelry, a lucky cupcake, lucky chair (with Kudos! ), and mobvend too. 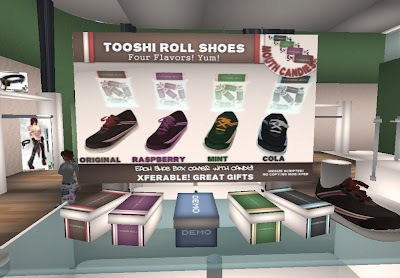 Click HERE to teleport to Milestone Creation's Goodies! SLANTED FOX IS CLOSING?! 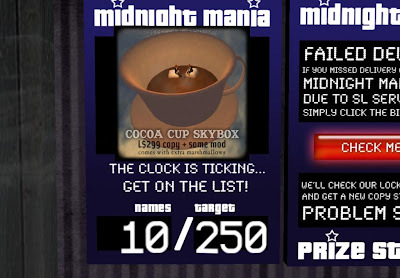 OMFG NO WAI! Pics below of some of the items you don't wanna miss, there's more but just go already! STOP READING AND GO!!!! 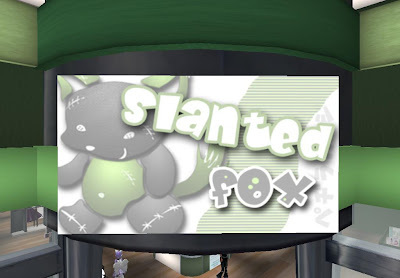 Click here to Teleport to Slanted Fox! Remember this from when you were a kid? 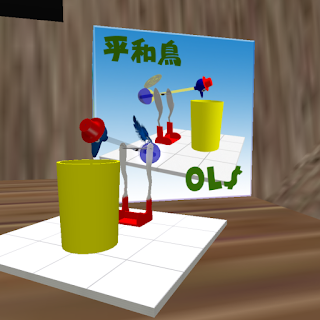 Here's a working one in SL! 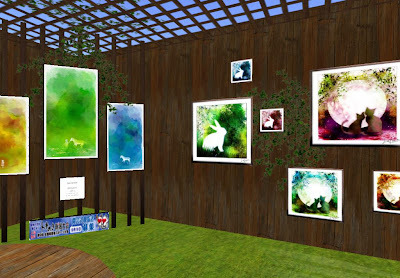 Head on over to Galiko (SLurl). Take a free ride in a kayak while you are there. While this hunt is by far one of the best I have been on (which I have to admit I got burnt out fast on them) there are waay too many things to post them all here without boring everyone so I will highlight my top 5 here for ya. If you would like to see my whole list of prizes i loooved it can be seen at my blog here. What kitty doesn't love her noms ? Stone # 32 from M. Fox has a super sweet bubblegum machine with fun gumballs inside I love the bubbles and sounds with these <3 Also shown in this pic is the hair from Clawtooth as well as the outfit from Balaclava. Waterland - full of Awesome! 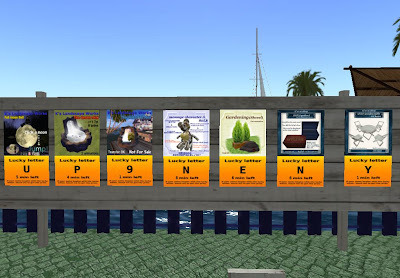 One of my favorite places in SL has to be the Waterland and Waterland 2 sims. They have a nice rural feel to it and mountains of freebs/dollarbies/cheapies available too. 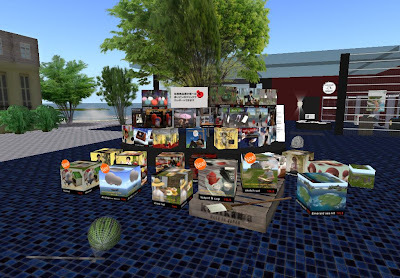 But if you wander the sim you can definitely find more goodies as well as good picture taking spots. 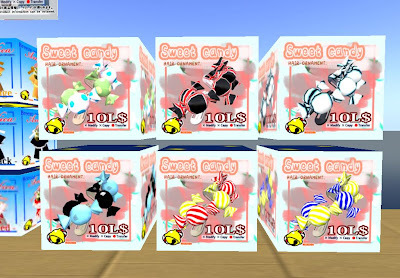 Click HERE to Teleport to the Waterland Lucky Boards & Freeb Area! Some nice lucky boards with a variety of goods at K's House Shop, almost all the prizes are transfer so they can make cute gifts too. 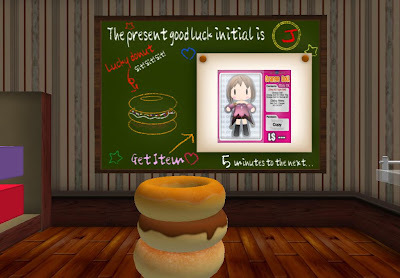 Click HERE to Teleport to K's House Shop Lucky Boards! Last Ride but never Last Place! Click HERE to Teleport to Last Ride! Item camps at AMG Boudoir, the camp times vary from about 60 mins or so. 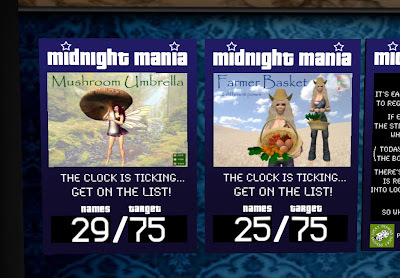 You can camp for hairstyles or shoes. Click Here to Teleport to the AMG Boudoir Item Camps!